Welcome to part 2 of my String of Pearls Quilt Along. Last time we cut out all the pieces for this graphic modern quilt. Be sure to visit my flickr group to see all the fabulous pictures everyone is sharing of their progress. I still have a couple of String of Pearls kits left. Today we will begin sewing! It took me about 4 hours to complete all of the steps shown below. Remember to work at your own pace and have fun with it! For efficiency, you can “chain sew” them. This means after you sew the first unit, don’t cut your threads. 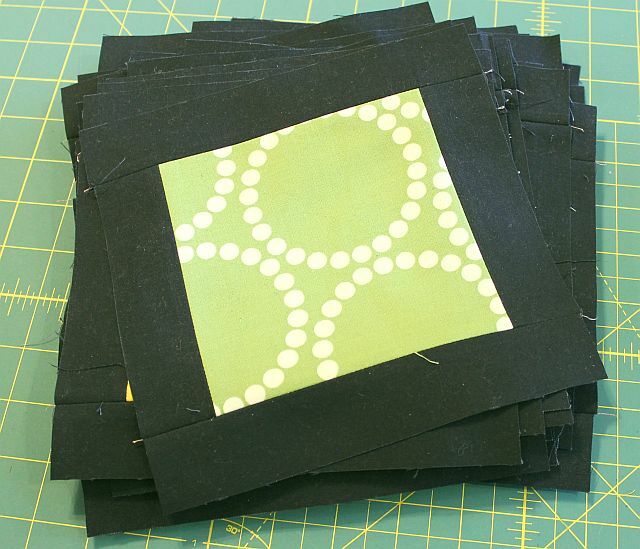 Just add the next pearl square and black strip and keep sewing until you’ve sewn one side of all 36 pearl squares. 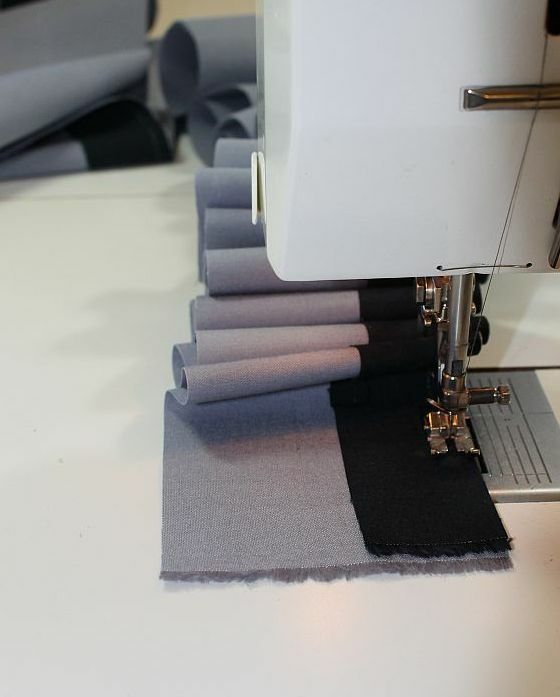 Take the whole bundle off the machine, clip in between each set, and then sew the rest of the strips to the other side of the square. Repeat for all 36 squares. 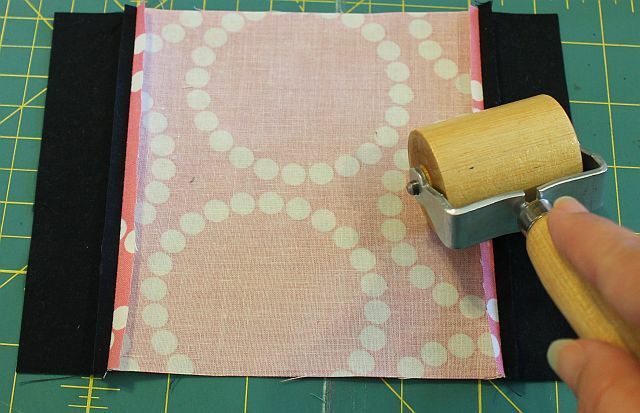 Using a seam roller (or your finger), “finger press” your seams open. Hint: by pressing seams open, it will reduce bulk. 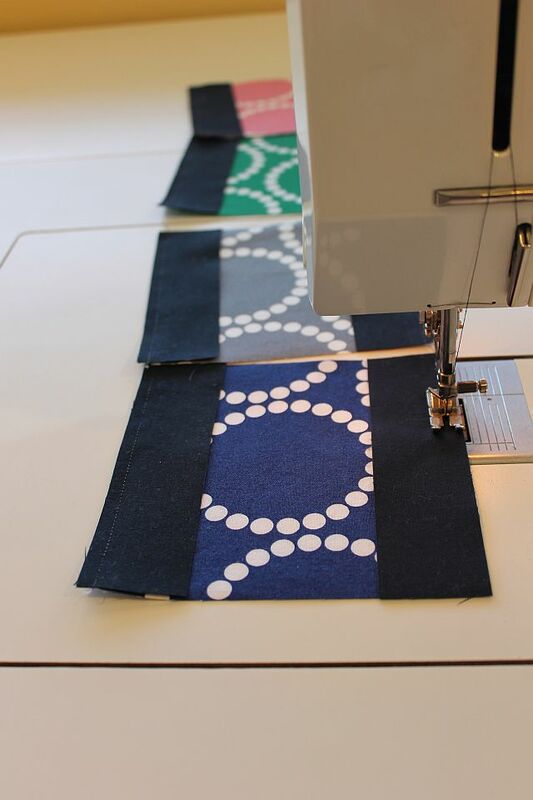 It’s easier to line up the pieces without having to worry about the direction of your seams and your blocks will lie flatter, too! 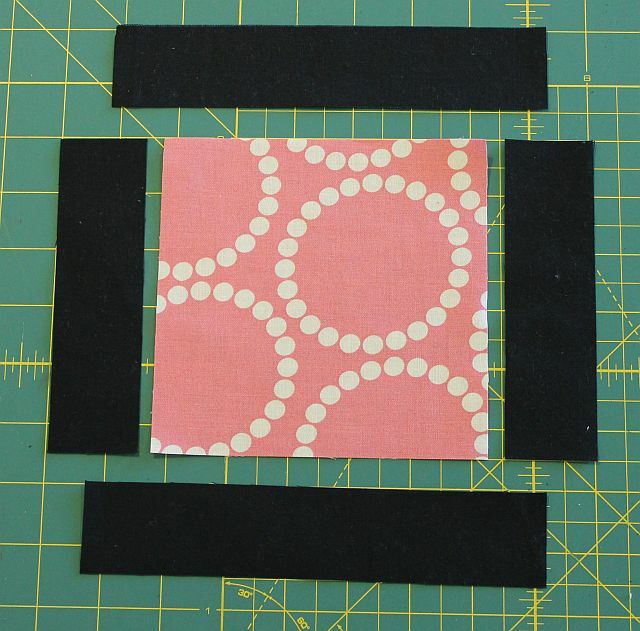 Add the longer 1.5″ x 7.5″ black strips to either side of your squares, chain piecing both sides as above. If your blocks shrink up, check your seam allowances, or trim as you go. Give the blocks a final pressing and you’re ready for Step 2. 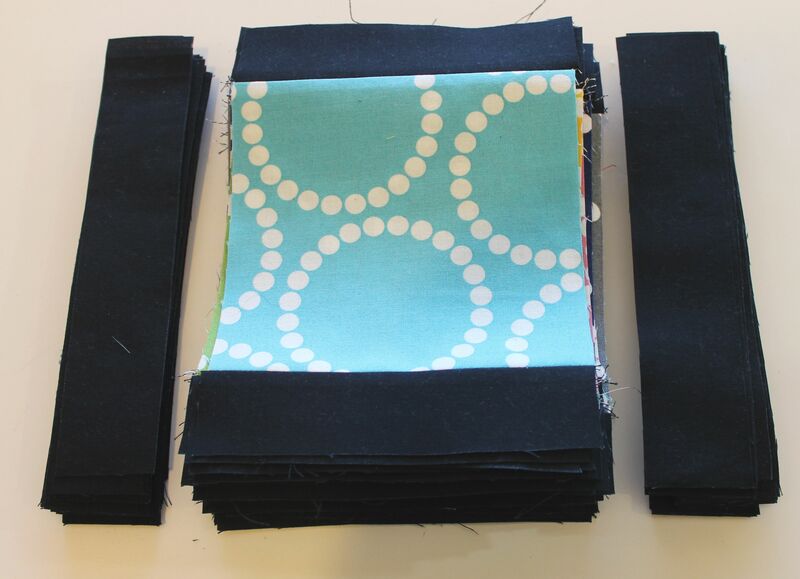 Hint: just sew a few blocks a day or work one one section at a time so you are not overwhelmed with sewing. This is supposed to be fun! It should measure 7.5″ wide by at least 20″ long. 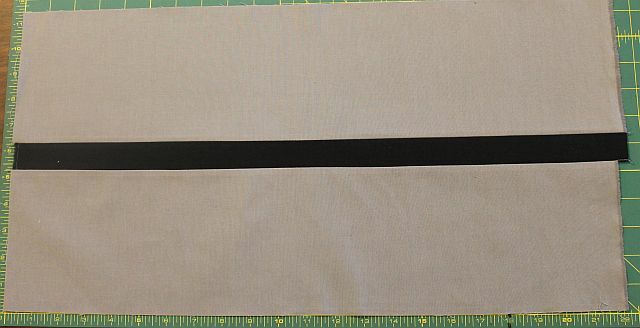 Next, repeat the process using the rest of your 3.5″ wide full-length strips. The longer ones need to measure at least 40″ long. Remember, use 2 grey strips for every black strip. You should have a total of 4.5 sewn strip bands. You can chain piece as you go for efficiency. Do not worry if your strips do not end up the exact same length. You will be trimming them before you make your blocks. 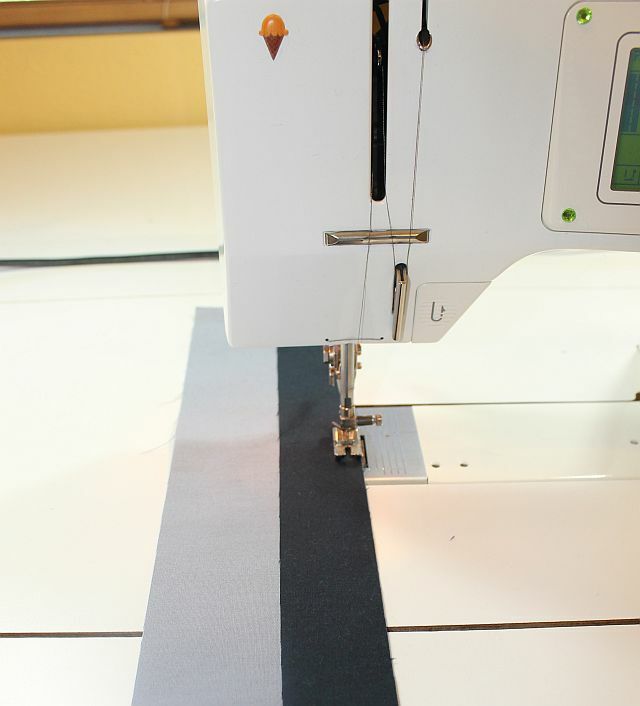 Hint: to help prevent your bands from bowing, always sew with the black strip on top, in opposite directions each time. Now repeat this process using the 5.5″ wide grey strips. Again you should end up with 4.5 strip bands that measure 11.5″ wide. Isn’t strip piecing fun? 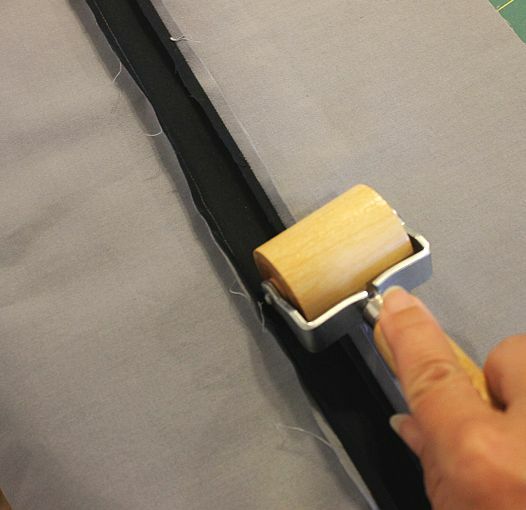 Optional – use a wooden seam roller to open your seams before you press them with a hot dry iron. This will help keep them straight. Press again from the front with your iron. 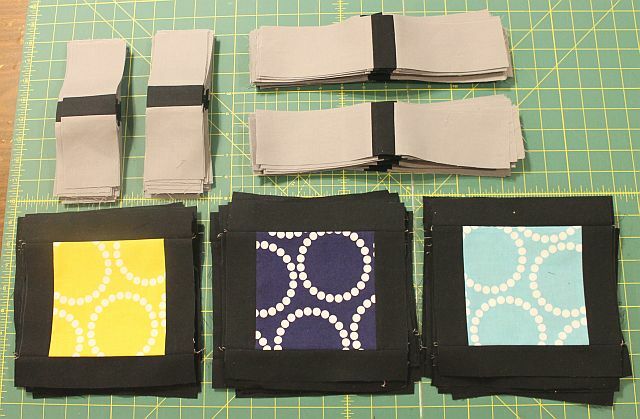 From the narrower fabric bands, cut a total of 72 (2.5″ x 7.5″) units. If your bands have shrunk up a little, that’s ok. You can square up your pearl blocks to match. Be sure to use a comfortable, sharp rotary cutter. You should be able to get 16 cuts per 42″ long band with a little bit of scrap at either end. 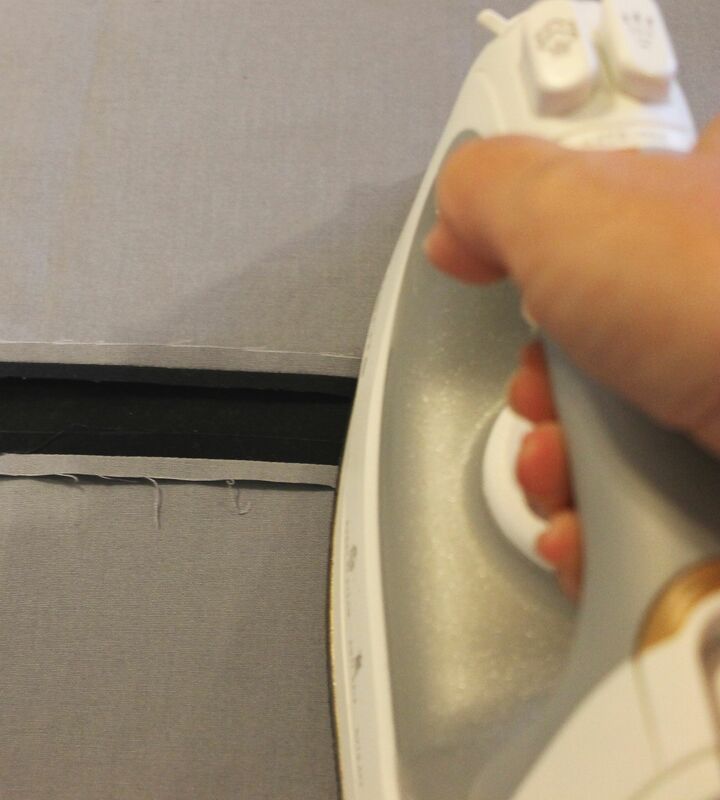 Hint: for faster cutting, fold each strip in half so that you are cutting through 2 layers. Just take care that they don’t slip as you cut. 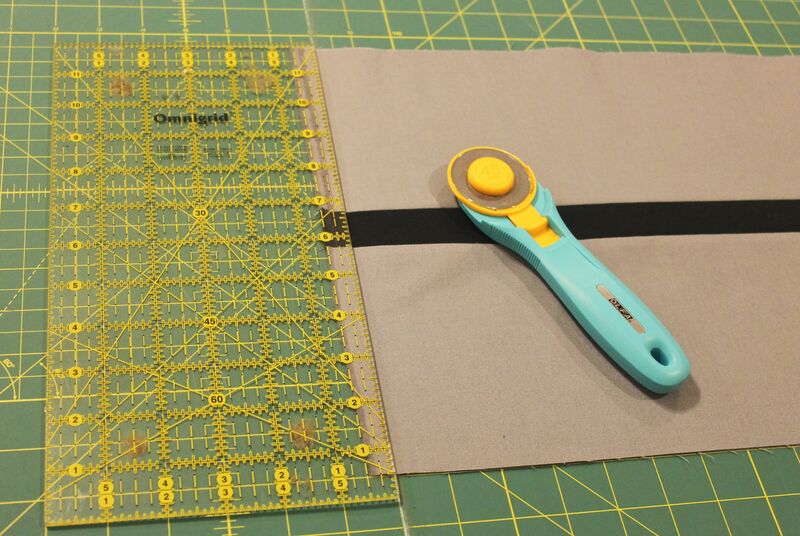 From the wider fabric bands, repeat the process, cutting a total of 72 (2.5″ x 11.5″) units. If any adjustments are needed, wait until the next tutorial when we will sew them on. Ready for the next lesson! Now it’s your turn – show me whatcha got! Please share pictures of your progress on my flickr group: Christa’s Quilt Along. I’m excited!! Nearly caught up just need to sew the bands and then see if i have enough black and background fabric to make more blocks. I was using yardage and cut one 5.5 x WOF strip of 12 different fabrics! Twice as many squares!!!! That’s very exciting – I can’t wait to see it! why have I never heard of a seam roller?? That would make life easier! 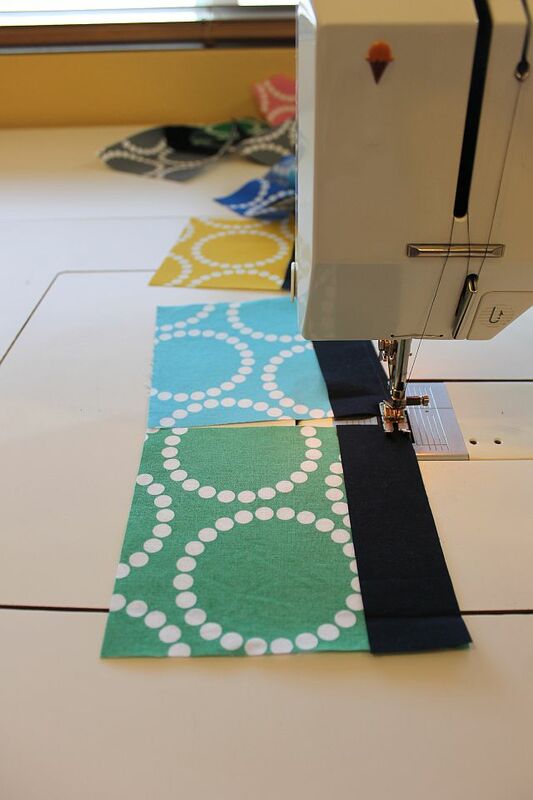 Your quilt is going to be spectacular, and your tutorial is so easy to follow! You should link up your progress at Needle and Thread Thursday when you get a chance! Thank you so much for linking up this awesome project at Needle and Thread Thursday! You are doing such a fabulous job on your quilt along! Your instructions are sew clear and easy to understand. Love the pics! I really like your tutorials and it’s really fun to sew along and take your time! I really love this pattern. The finished product is going to look great! I’ve never seen a steam roller before…where do you find one of those? Akk! I’m falling behind! Don’t worry Christa, I’ll catch up and blog about it soon!!! Your tuts are awesome! Even though I’m not doing the SAL I can still use all your useful hints.